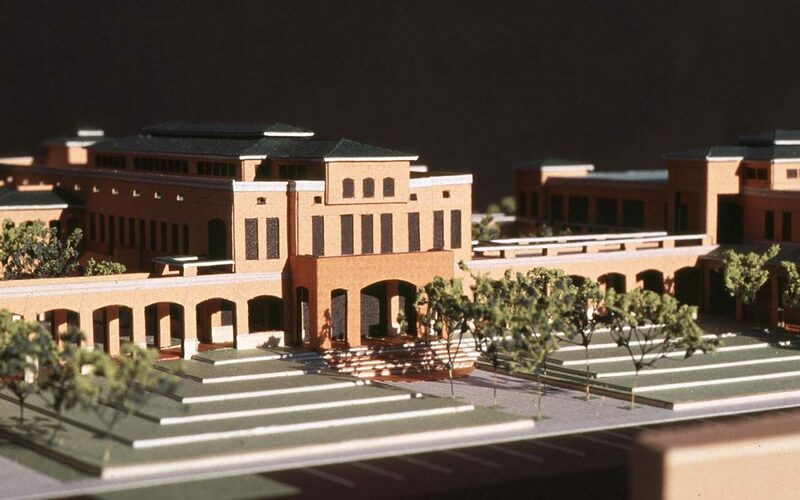 PALMDALE CITY HALL: This project was part of a larger master planning effort for the city of Palmdale for a new civic center. 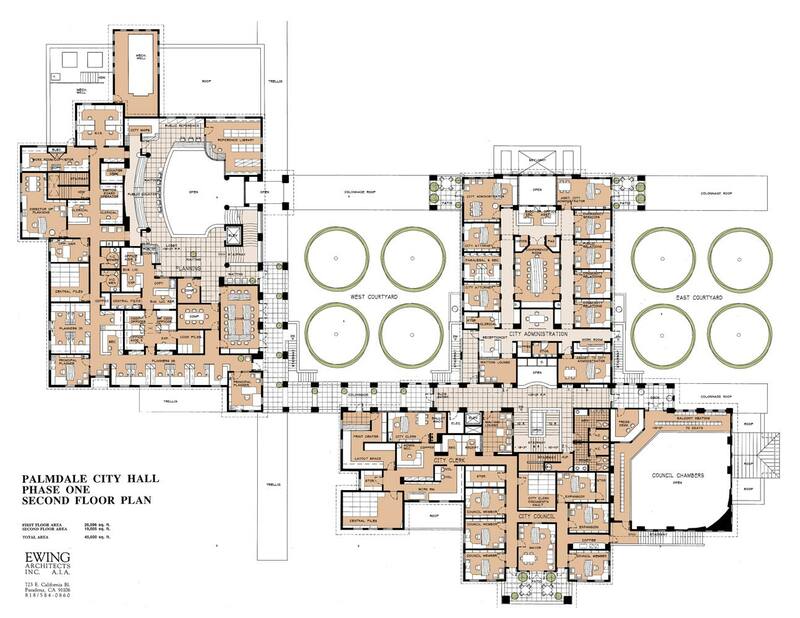 The first phase called for the design of a 50,000 SF city hall. The civic center site is located in a flood plain so our solution was to terrace the site up in order to protect the building and give it more prominence. 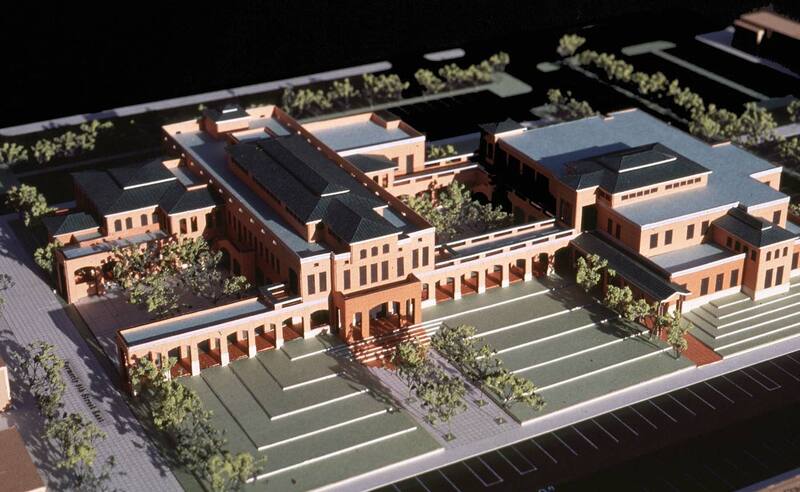 The architecture is a modern interpretation of the Italian Renaissance style. We completed the design in 1995.